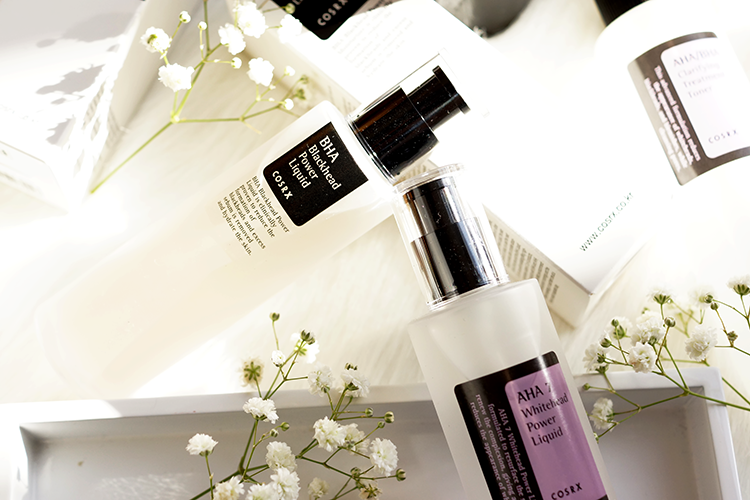 I'm sure it's no surprise to you, if you keep up with my skincare posts, that I love Cosrx. Their cleansers, moisturisers, masks, toners and serums I've tried are no fuss and high quality, gentle yet effective, with minimal fillers and unnecessary ingredients (I'm also giving away some Cosrx bits in my Giveaway which you can enter here!). 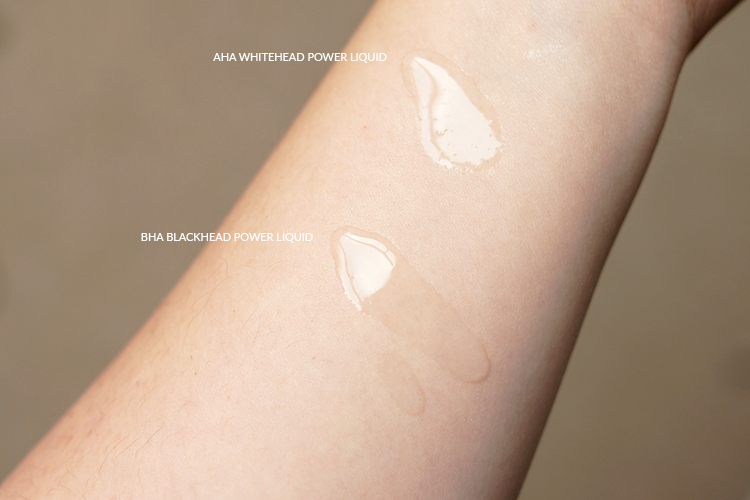 Amazingly enough, I hadn't tried both their BHA Blackhead Power Liquid or AHA Whitehead Power Liquid until Buttermilk Skincare kindly provided me with the opportunity, and I hate to spoil the suspense but I feel completely compelled to write about them - they're fabulous! Those of us with combo to oily skins know the struggle when it comes to pores - keeping them clean so that they look smaller and less noticeable, and don't cause us problems when it comes to blackheads and spots. Whilst you can improve the visible situation with blurring primers or powders, a BHA or beta-hydroxy acid liquid is the best way to help get to the heart of the issue - have a peek at my bumper post on Korean Skincare Tips For Acne & Acne Scarring for more on how I deal with it all. 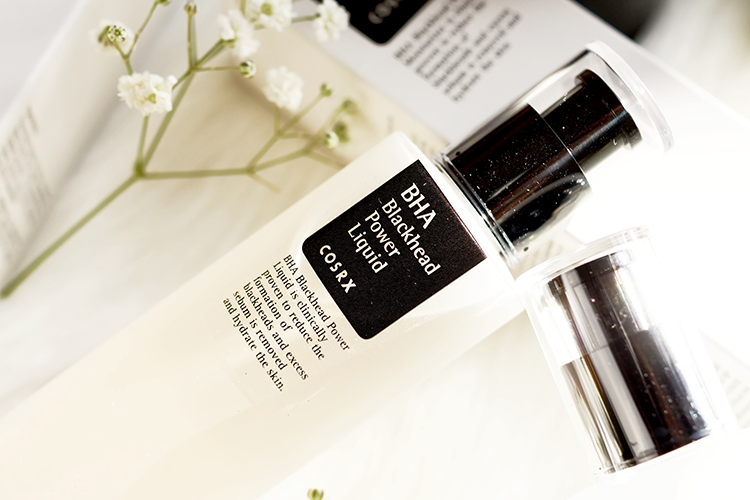 The Cosrx Blackhead Power Liquid comes in the super sturdy, thick plastic packaging as the rest of the range, with pump dispenser - I like that everything is so simple. The liquid inside has a thin, glossy consistency, like a very viscous serum, or a refiner/softener if you're more au fait with asian skincare terminology (have a look at my Kbeauty Definitions post for more on this!). There's an ever so slight chemically scent that dissapates almost immediately, and it sinks in quickly to the skin, becoming dry to the touch within minutes. Willow Bark Water, Butylene Glycol, Betaine Salicylate, Niacinamide, 1-2-Hexanediol, Arginine, Panthenol, Sodium Hyaluronate, Xanthan Gum, Ethyl Hexanediol. What I really want to talk about is the formula. BHA's are oil-soluble chemical exfoliants that are really great at cutting through sebum to clear out pores, and prevent oxidised sebum from turning into blackheads. Their effectiveness is dependent on a) the concentration of BHA's present and b) the pH level of the formula/your skin. The Cosrx contains 4% Betaine Salicylate, enough to be effective without irritating the skin, as well as Willow Bark water, a naturally occuring BHA that isn't effective enough on it's own but works in tandem with the betaine salicylate, as well as lowering pH and acting as an anti-inflammatory. Using willow bark instead of water (meaning this is a water-free formula) lowers the pH of the serum to 4 - ideal as actives like AHA's and BHA's perform best between pH 3-5. 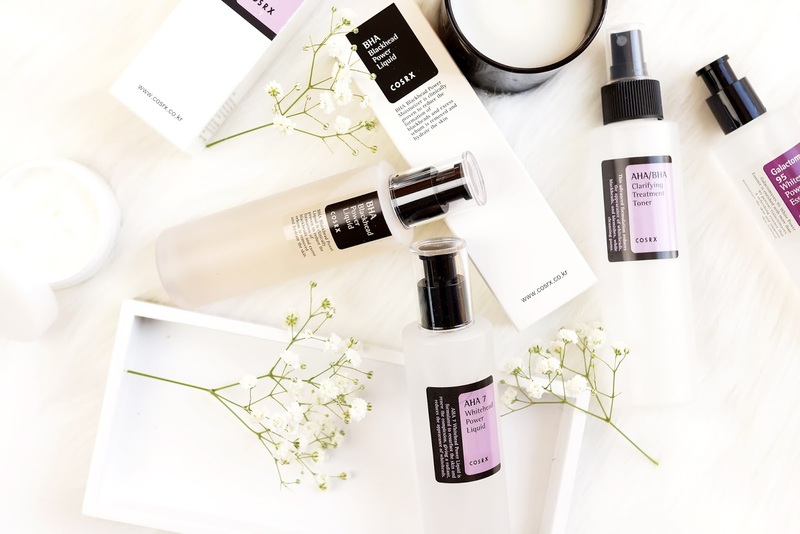 BHA liquids are stereotypically harsh on the skin and can be incredibly drying, nigh on irritating, which can be a problem as you're supposed to wait around 20 minutes before applying the rest of your routine, so that the acids aren't compromised too soon. I've found that due to the inclusion of anti-inflammatories as well as hydrators, such as vitamin B5 and sodium hyaluronate, my skin doesn't feel dry, nor irritated, and I actually find this formula really gentle on my somewhat sensitive skin. The instructions (in English!) recommend that you do not combine the use of this serum/liquid with other exfoliating or vitamin C or A products, so I like to use mine in the mornings, saving my retinoid/rosehip products for the evenings, although I do cheat and use the AHA liquid below as this is real life.. I've only been using this for a couple of weeks but can already see beneficial results on my nose in particular - I've got the kind of pores/blackheads on my nose that literally nothing seems to budge. I'm going to give it a little longer and then I'll be sure to share some before and after photos with you - quite possibly on my Instagram so catch up with me there for updates! Now that we've targeted pores etc, there's the rest to take care of. Alpha Hydroxy Acids are water-soluble chemical exfoliants, dissolving the bonds between dead skin cells, and allowing faster skin regeneration and cell turnover. This really is the key to helping with fine lines, rough skin texture, acne, even those stubborn, stupid hormonal blemishes that seem to be the bane of my life right now. 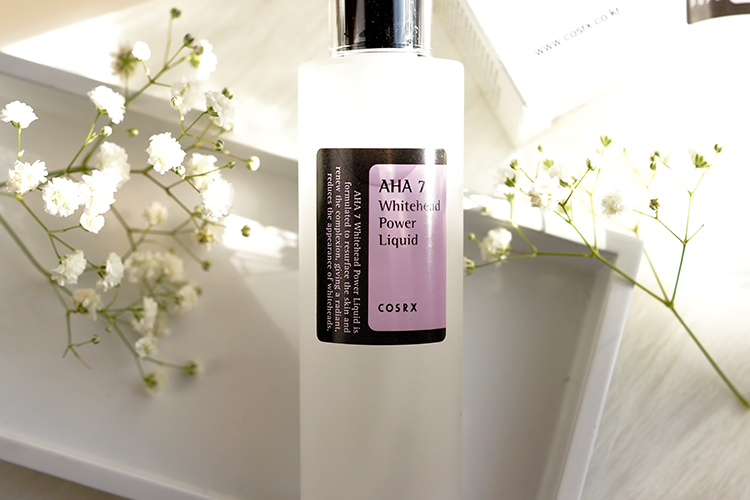 The Cosrx AHA 7 Whitehead Power Liquid - 7 standing for 7% Glycolic Acid, comes in an identical bottle to the BHA liquid - more simple yet functional packaging indicative of the contents. Another very thin liquid (this time thinner than the BHA and really quite close to water), on first impressions this one feels a little more hydrating than the BHA, sinking in readily but leaving a slight plumpness to the surface of the skin. I've read in the past about there being an unpleasant smell to this, but I wonder if Cosrx have now addressed this, as I can gleam a slight chemically scent but it's very faint. Apple Fruit Water, Butylene Glycol, Glycolic Acid, Water, Niacinamide, Sodium Hydroxide, 1,2-Hexanediol, Panthenol, Sodium Hyaluronate, Xanthan Gum, Ethyl Hexanediol. Again, pH level is critical here, and Wishtrend/Fiddy Snails show a pH of 4 - strong enough to be effective without causing irritation or chemically burning the skin . My skin seems sensitive to strong acids (and I generally prefer lactic over glycolic), but I've experienced no redness or irritation with this formula whatsoever - it seems like all of the Cosrx products are suited to more sensitive skins, and I love that I don't have to worry about products being too harsh. This is another liquid that provides maximum results being closest to freshly cleansed skin as possible, and being given around 20 minutes to work undiluted. This is an instant gratification product - my skin felt softer and smoother after the very first application (if you've tried the brightening Blithe Splashing Mask - full review here - then you'll know the feeling, it's very similar). With continued use, that feeling is maintained, and that's something I love, it's amazing to wake up to skin that's so baby-bottom smooth every morning - again I'll update you re. longer term results when I've used the product a bit longer. I wholeheartedly recommend this clear skin duo if you're normal-oily (I actually think the AHA would work if you're a little bit dry, as long as you compensate with hydrators and moisturisers) and looking for a skin overhaul - I can already tell these are going to become a mainstay in my skincare routine. You can pick them up below from UK K-Skincare retailer, Buttermilk Skincare. 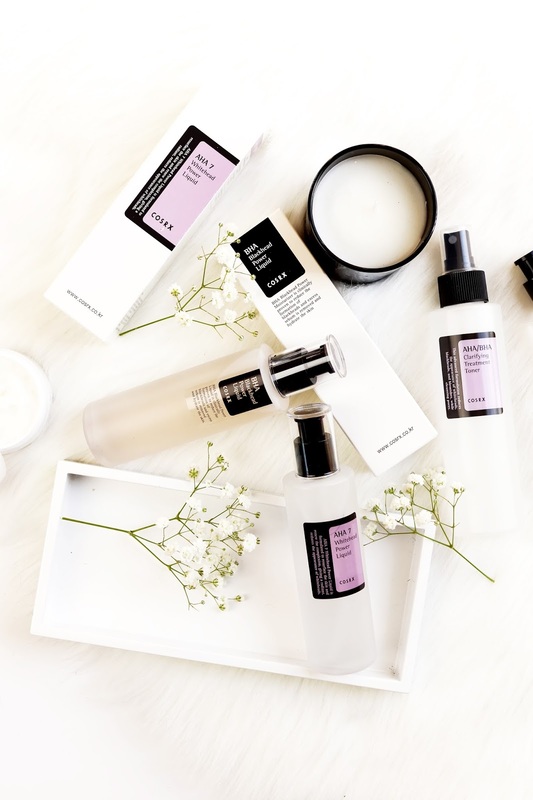 What are your favourite Cosrx products? And make sure to enter my Autumn Makeup Giveaway if you haven't already! I love korean beauty and skincare. I have the BHA power liquid and love it. I can't wait to try out more Cosrx products! i'm glad cosrx finally ends up in your radar, jen! i kinda want to try it. i think the whitehead one would be perfect for me since my blemishes also the bane of my existence. my skin is dry though :( maybe i'll try it out if they have samples first. These products looks so good! I must get myself to try them soon.